German weekly Bild am Sonntag reported that VW’s internal investigation has found a 2007 letter from parts supplier Bosch warning Volkswagen not to use the software during regular operation. 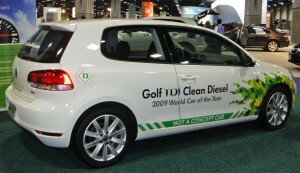 Separately, the Frankfurter Allgemeine Sonntagszeitung reported that a Volkswagen technician raised concerns about illegal practices in connection with emission levels in 2011. Volkswagen said to be warned years ago about illegal emissions tricks, Los Angeles Times, Sept 27, 2015. “But, Bruce no one is going to know!” I was told that by an Air Force officer who was making personal copies of copyrighted, not to be copied, materials. He was also doing it in a military facility using military equipment. In another case, also in the military, we had an overabundance of sensitive material to be disposed of by burning. We burned as much as we could in a day. When the normal duty day started to come to an end, I noticed that everyone seemed agitated. I asked what was up and said that we could either keep working until it was done or transport what was left back to our secure facility. Well, I learned, in the past when the day ran out before the work did, they just took the remaining boxes of sensitive material and threw them in a nearby unsecured dumpster, an action which was clearly in violation of security regulations. In both cases it was normal for previous officers to simply look the other way and let it go. The infractions weren’t really hurting anyone, the argument went, and the practices just made things easier for everyone. Instead, I put a stop to each practice and surprisingly to me the reaction by more senior management was a reluctant “OK Lieutenant, I guess we’ll have to discipline them and then let’s get back to things that really matter.” So a “little” infraction that doesn’t really seem to hurt anyone is often an acceptable practice? Looking at Volkswagen’s practices, one could argue that it didn’t hurt anybody. It clearly helped to sell more VWs, and the actual infraction wasn’t faulty brakes or other safety related systems. It was just a claim that emissions were a lot less than they really were. It could also be argued that even if the VW didn’t reduce emissions as much as it claimed, the VW might have sold pretty well anyway. Who really knew? So little, misleading “tricks” are OK? I bought a 2013 Ford C-Max hybrid that claimed an EPA mileage of 47 mpg (miles per gallon) highway and 47 mpg city driving. A Consumer Reports’ review reported that they liked the C-Max but the actual milage was closer to 37 mpg than it was to 47. They also commented that in most of their testing the manufacturer’s estimated mpg was usually very close to their testing mpg, except in the case of the Ford C-Max. After I bought the car, Ford twice sent me checks for almost $1000 as they twice decided to lower the hybrid’s advertised expected mpg performance. Ford had taken a chance with an unusually high claim but then had to back down, reimbursing customers by choice, when they were challenged. Based upon my experience, I would bet that there had been quite a discussion and then a decision to go with the higher numbers even though they were not very realistic — but would probably sell really well. The lessons learned are that in most cases, when things threaten to go awry, that there are almost always early indicators and warnings when these things are happening. These things then don’t get resolved well when more senior management on hearing the “discussion and disagreements” decides to go with the version that is most advantageous to the company and hence their personal advancement. In many cases I’ve seen where more senior management didn’t wish to be consulted on some details, as it allowed the questionable decisions to be made and they could then claim that they did not approve any such decision. I’ve even seen one senior manager scold a subordinate manager for not being willing to make a tough business decision and needing her to make it for him. This same manager got upset when details about a planned company party had not been brought to her for review and approval. She clearly liked to skip the hard decisions. Are there clear indications of issues on your project that need to be resolved but are being ignored or allowed to proceed for other than good and ethical business reasons?